FILM LOCATIONS IN LOS ANGELES! HAVE A GREAT EXPERIENCE AND ACHIEVE THE PRODUCTION VALUE YOU'RE LOOKING FOR! LOCATIONS AVAILABLE FROM HOLLYWOOD TO THE SAN FERNANDO VALLEY TO MALIBU FOR YOUR INDIE MOVIE! 1930's bungalows, 50's apartments, 70's sporting shag carpets! City lights views! Modern homes, swimming pools, furnished and vacant ranches, lofts and warehouses. Dressed hair salons, two downtown office buildings with beautiful lofts. A VILLA IN ST. CROIX WITH TAX FREE INCENTIVES!! LOCATION FEES $550 a day to $5500 ... AND UP ...for regular 12 hour day shoots, 7AM to 7PM. Additional production costs, such as Rep Fees, ALWAYS apply. Fantastic location with a rear office and garage space for easy access and production load-in! One block away from restricted parking this charming remodel offers filmmakers updated floors, dining room, charming children's bedrooms, and hip kitchen! 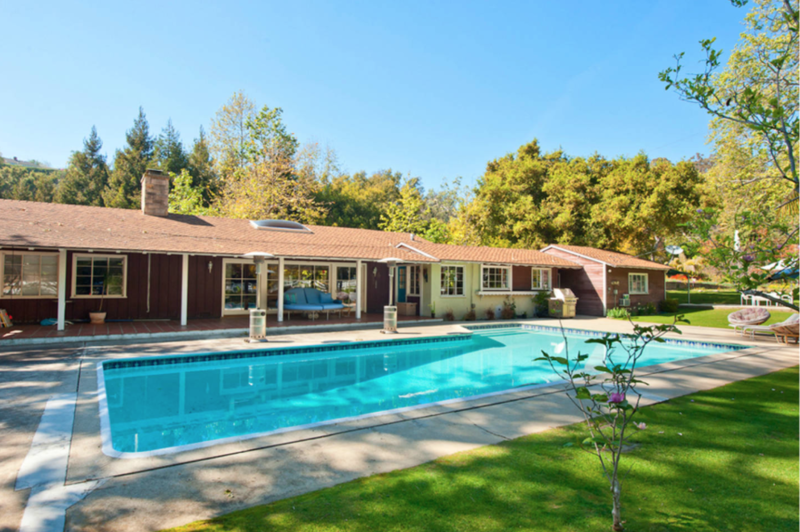 This woodsy home on the edge of Pasadena has vaulted ceilings, beautiful wood paneling, East Coast or Northern CA feel, pool. Located in the hills, quiet and open - easy shoot-through layout. Cook's island for cooking shoots, parking down the hill at gas station or Von's parking lot avail. 23,000 sq ft - Film LA jurisdiction, beautiful view, amazing driveway, extensive parking avail, both on street and within the property. Two pools indoor and out! Modernized Craftsman in Great Neighborhood - artist's two story home location, with great light and art room upstairs, man cave, easy parking and excellent garage for productions. 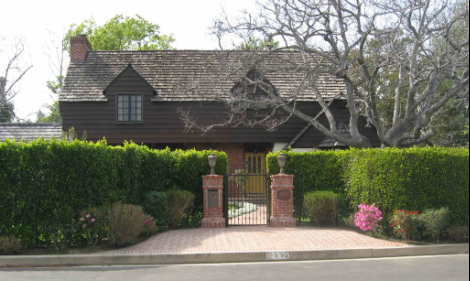 Kathe and Steve's is a lovely 30's home location in Carthay Circle. Artist's home is filled with inspiring, Matisse-like colors and light. Easy to shoot through living room to dining area. Piano, nice back yard., hardwood floors, great production value. Beautifully Updated Traditional location centrally located South of Bel Air gates, this recent remodel affords wide shooting angels in a Cooks Kitchen, glamorous living and dining rooms, and warm, charming family settings. 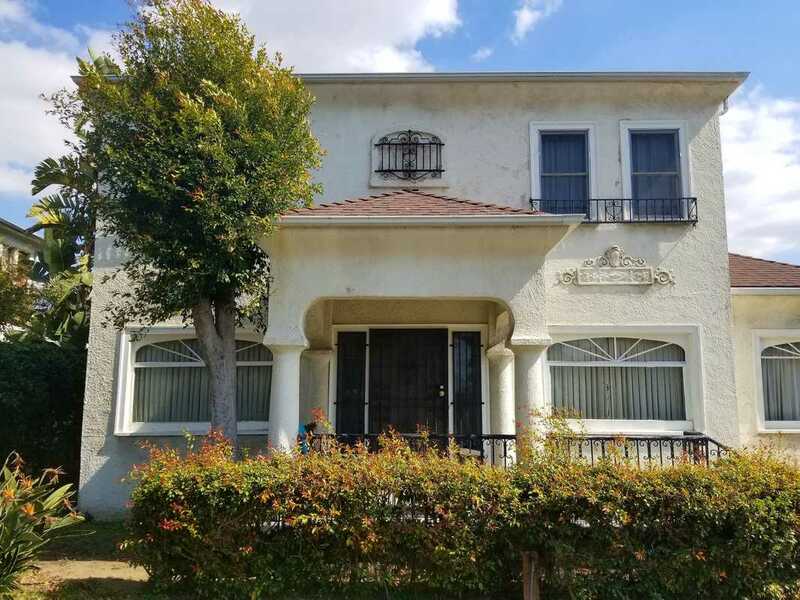 Gary's location is in North Hollywood, convenient to everything, great parking lot, two levels of offices and 2 conference rooms, connected by staircase, cool brick walls and plexi-glass flooring, and architectural details. Available for production as well as shooting. Audrey's villa overlooks Malibu high above the ocean. The estate location has a swimming pool, tennis court / basketball court, two guest living quarters, and the mansion itself. Surprising for its size, it is charming and warm and built for a family. Elegant grounds could be the home of any wealthy tycoon, a nuvo riche entrepreneur on the go. 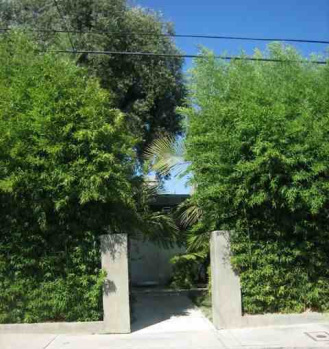 Rosalee's location is in Laurel Canyon on a cul de sac, on a wide street with easy parking. This is a 3/2 with pool and view of the canyons. Extremely quiet for outdoor filming, great light. 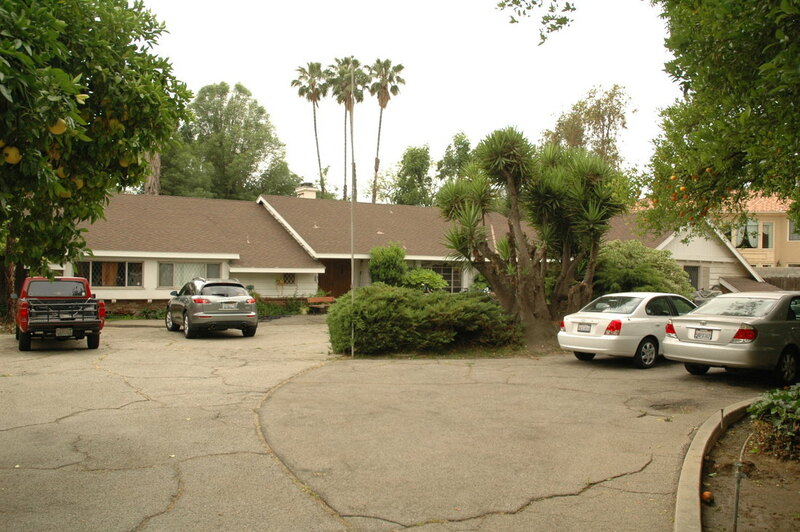 This pristine 70's example of architecture has one of the largest green yards in Tarzana - easy parking - great style! 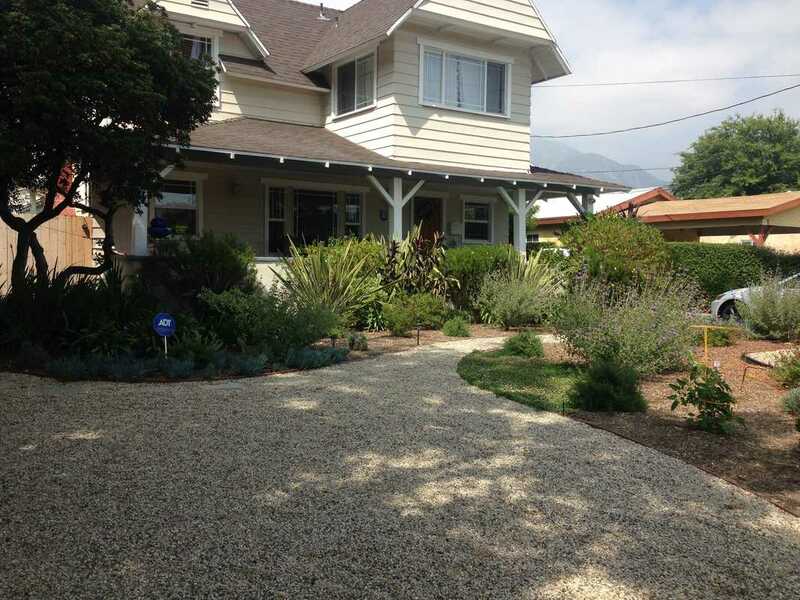 Beautiful two-story, generous proportioned Craftsman rooms, loves filming! Sandy and Rob are in the industry so very accommodating and fun to work with. The location is in Toluca Woods, close to everything. Quiet tree lined street, restive back yard for crafty, warm masculine colors, an old fashioned kitchen. Jeff's is a Valley charmer, with a North Hollywood location. 3/2 on a quiet street. 1950s redone, but still rustic with pine paneling and brick fireplace. Masculine colors and granite kitchen. Huge back yard for crafty! Garage rented out, but driveway great for rear access. Cute mid-century in bright colors for convenient location shooting. Playful use of space, Rick has worked with several folks, very accommodating, easy to work with. Wide street. easy parking, in Laurel Canyon, just off Mulholland. Pool, quiet street. 22. BEVERLY HILLS MODERN ... WITH FILM LA PERMITS! Carole's beach house is 4 houses away from the largest strand of white sand in Oxnard, Ventura County! Spend long summer night shooting under City of Onxard Film Permits! Carole's 3 bedroom, two story home is just steps from the beach, on a quiet side street, and has a backyard jacuzzi for relaxing. Accommodating neighborhood, great home of the ROY DEAN GRANT President, Carole Dean. Very welcoming to filmmakers! Nancy and Daniel's home is able to accommodate medium and larger location shoots. Easy street parking, on a quiet street in North Hollywood. Excellent flow to the home, downstairs living room opens to dining area, great for shooting through. 4/2.5 with 2 car garage. Newer kitchen has housed virtual village and cooked at the same time. Outside patio excellent for crafty and meals, long yard spreads out to the rear of the property. East Coast looking location, Lyn's house is in Canyon Country. Plenty of open sky and easy parking, within studio range. Large open family floor plan. 4/2 plus huge 3 car garage. Pool, view. Joann and Paul's wonderful home is a gorgeous location with sublime maple flooring, spectacular view of the canyon, large pool. Lots of light, great reflected sunsets, faces East. Open floor plan with disappearing doors. Prefers downstairs-only shoots. Two car garage perfect for virtual village. 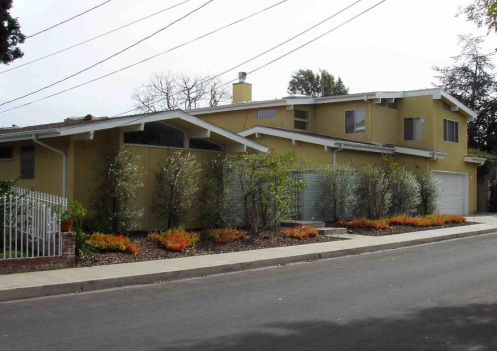 Located on the widest street in Laurel Canyon, just off Mulholland! 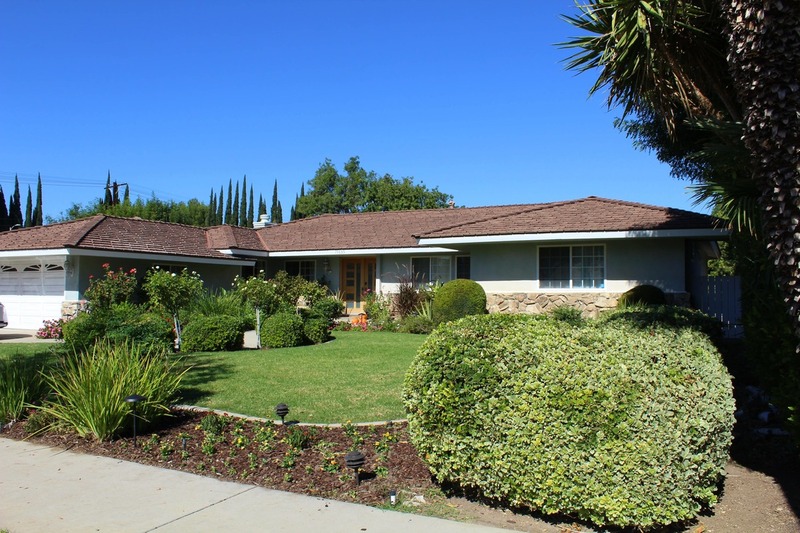 Colleen and Robert's home is on ranch property in Agoura, CA. Within studio radius, Colleens has a sloping, large back yard with chicken coop and swing, backing into the creek bed. 6/4. 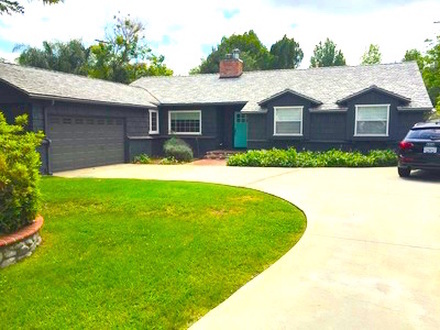 Elegant, gracious, yet classic Ranch style, the perfect all-American dream home. 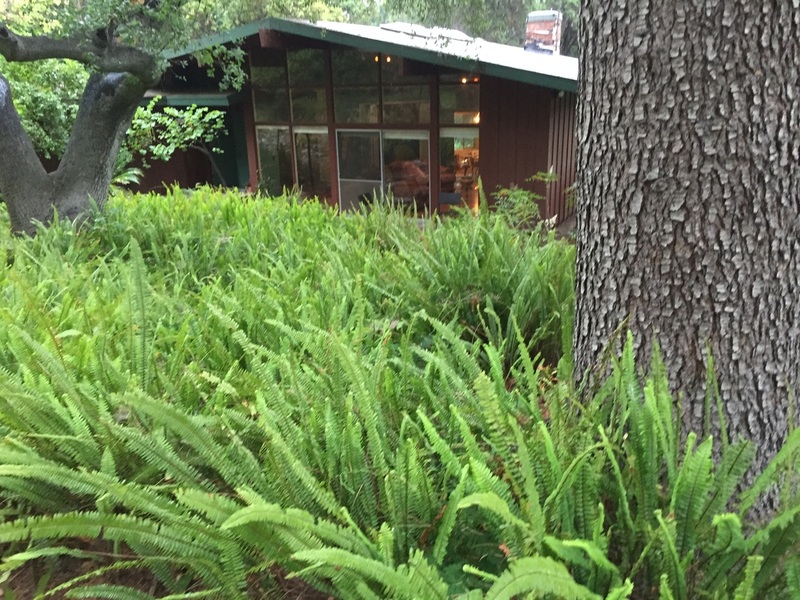 Colleen's landscaping acumen is evident in her lovely gardens. Private stables, large garage, circular drive for trucks and off-street parking. Location abuts Paramount Ranch, where Dr. Quinn Medicine Woman was shot. Lisa and Adam's home is a showplace designer home in Laurel Canyon. Wide street, easy parking. 3/2. Modern, upscale yet warm and inviting location, excellent light, intriguing colors and openness. Architectural masterpiece. Modern location in Santa Monica hills. Private street. Public park nearby for larger production trucks and crew parking. Perfect 70's example, two story home. Web series Zombies thrown off balcony, so owners do have a sense of humor!!! Great street, easy parking, on same street as LEON'S on this site - neighbors very cooperative and Sherman Oaks location convenient to everything! Pool, 4/3. Lauren's home has a brand new remodeled kitchen, craftsman-custom everything throught the location. Great back area for crafty and meals, lovely hardwood everywhere, amazing view into kitchen from open staircase. 4/3, Sherman Oaks. Han and Evie's large and comfy home is an all-American location, traditional in feel, at once inviting and functional. 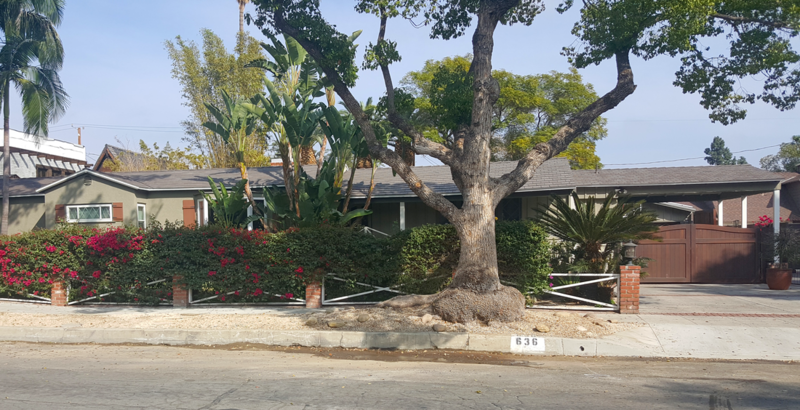 Located in Toluca Lake, just off the 101, this home has its own parking lot next door for off-street production vehicles. Cook's kitchen, great open floor plan, 5/4, 3 car garage. Dina's is a charming two story location, 5/3, with open unfinished back yard. Dina is next door to friend LIsa's, #25, and the two houses can work together to accommodate production needs. Quiet cul-de-sac, Lake Balboa area of Van Nuys, open floor plan. Very shoot-friendly location in North Hills, Pastor Kevin is a blessing to the community and happy and willing to host large shoots at the church. Grounds include a sports field. 37. LEON'S 70'S HOME IN SHERMAN OAKS - POOL - SHAG CARPET! 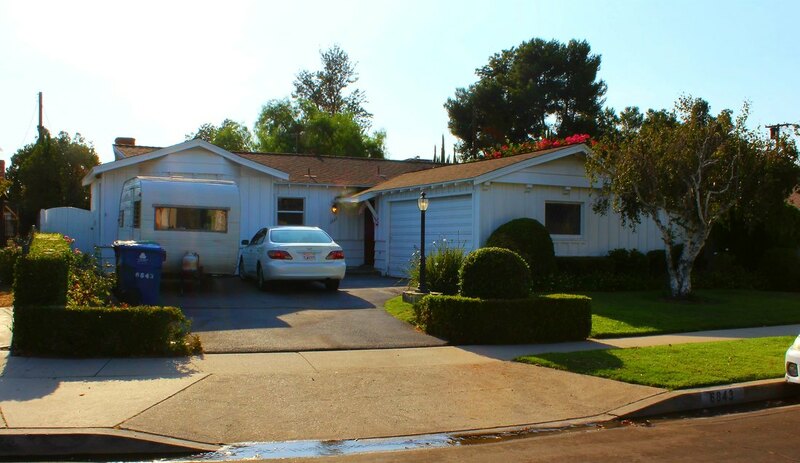 LEON'S HOUSE IS THE PERFECT 70'S LOCATION IN SHERMAN OAKS ON A QUIET SHOOT-FRIENDLY STREET. POOL, 3/2, OPEN KITCHEN, EASY PARKING. GREATEST BATHTUB FROM THE 20'S. LOCATED IN CARTHAY CIRCLE. SMALL SHOOTS ONLY PLEASE. MARLIAN MANSION - Peaceful Elegance - overlooking the Pacific - pool - wine cellar - amazing views - available for all size shoots - Malibu permits. ANDREW'S FAMILY OWNED B. BLACK BUILDING - BUILT IN 1901 - 6 FLOORS OF MANUFACTURING - CLOTHING - OFFICES AND STORAGE - AND ONE EMPTY FLOOR - GREAT LOCATION! GREAT LOCATION, EASY PARKING, ACCOMMODATING OWNERS! REAR ALLEY ACCESS. DENNY'S ON THE PROPERTY. Two story, interior staircases, grass courtyard, rear parking lot plus parking on street, 20 unit building in L-shaped lay out. Beautiful light and spacious apartments on 2 acres of property. FOOD SERVICE PARTS IS OWNED AND OPERATED BY LOCAL FOOD PROFESSIONALS. THEY SPECIALIZE IN KITCHEN AIR QUALITY CONTROL PRODUCTS. OWNERS ARE INTERESTED IN HAVING SHOOTS AND VERY ACCOMMODATING. IF YOU NEED TO GREEK OUT THE SIGN FOR A POST-APOCOLYPTIC SCENE, THIS IS YOUR PLACE! THE LOCAL FAMILIES HAVE EATEN ENOUGH PIZZA TO PAVE A HIGHWAY THROUGH TO THE LOCAL HIGH SCHOOLS. OWNERS ACCOMMODATING. NO NEED TO CLOSE FOR BUSINESS, THE PATIO IS OPEN FOR SHOOTING! OR CHOSE THE OTHER LOCATION ON COLDWATER. FAMILY OWNED AND OPERATED. 51. AUDREY'S BEACH HOUSE - MALIBU LOCATION RIGHT ON THE WATER! AUDREY'S FANTASTIC LOCATION - MALIBU BEACH HOUSE - A MODERN HOME RIGHT ON THE BEACH. GREAT KITCHEN OPENS TO LIVING ROOM. PARKING ON PCH, AND IN DRIVEWAY. MALIBU PERMITS. GATED ENTRY, SITE REP ON CALL. 55. 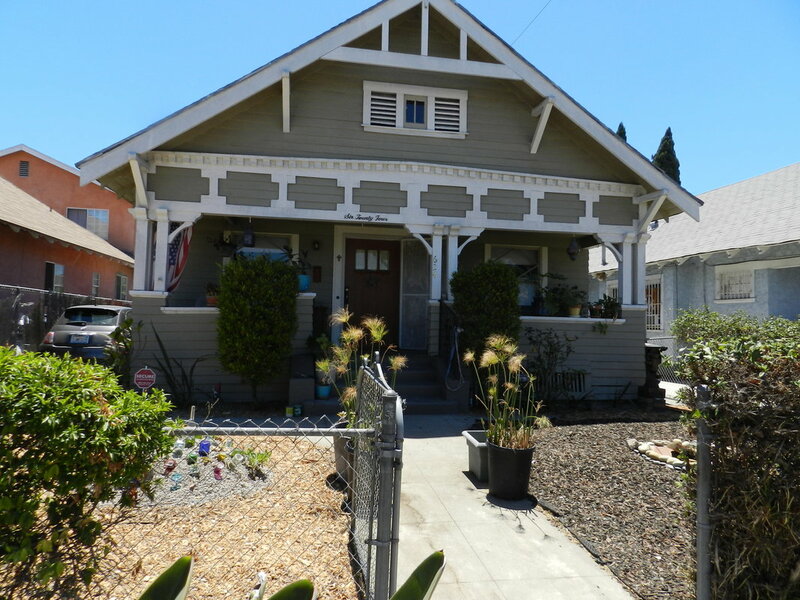 CRAFTSMAN IN SOUTH ADAMS - great location with it's own parking lot!! SOUTH ADAMS CRAFTSMAN - beautifully restored 1906 Craftsman - located in S. Adams district, with it's own 1 acre parking lot across the street! Lovely wood floors, original kitchen, creepy basement, large bedrooms. The property's garage has been converted into a sound studio. Excellent! 56. CARMEN'S all-American Ranch, circular drive VAN NUYS! Great location on easy-to-shoot Valley street! 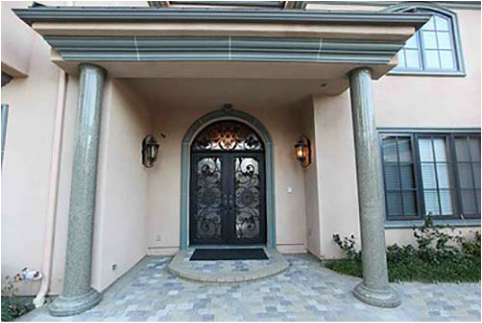 Alfonso's private villa in Granada Hills offers elegant formal living and dining rooms, grape-vine-covered patio, enormous cook's kitchen, and private tennis court! Stage your Godfather-type wedding scene here! 62. 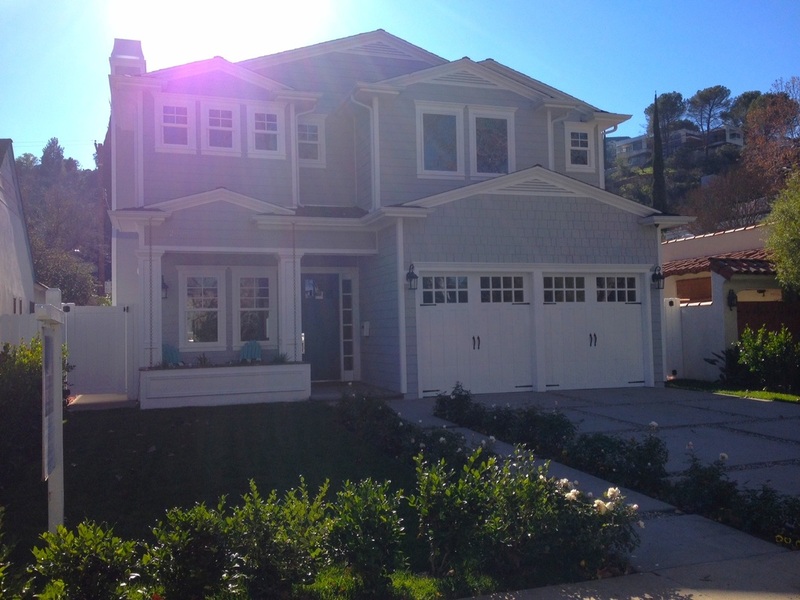 MANSION IN COLDWATER CANYON, FILM LA PERMITS, HUGE LOCATION WITH COOK'S KITCHEN! Sunlight dances on the hardwood floors, plenty of space for shooting, client, and support rooms! Driveway can accommodate trucks - garage entry to home makes loading convenient! 63. 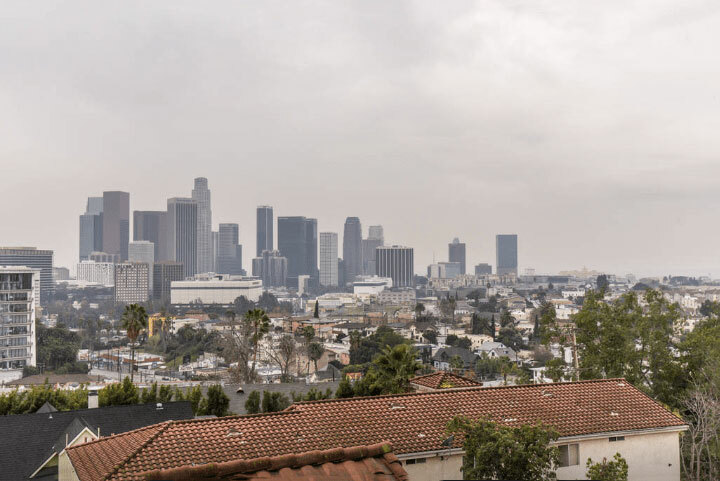 KOREATOWN - URBAN LOCATION - LOFTS AND HUGE OPEN SPACES! This Pacific Palisades Mid-Century modern sits on a pristine half-acre property with a huge graceful grass front yard, pool in back, with natural stream. Offers off-street parking, and additional parking in Will Rogers for your largest productions. Seal Beach location. Stunner - 5 long blocks from the Beach - prime location for that perfect commercial all-American look! Location by the Ocean, allows small shoots only, fantastic kitchen and master bathroom! Elegant furnishings, great access! Location with grea﻿t light, easy parking, featu﻿red in Architectural Digest, available for small print and large film productions! An important part of LA architecture, designed by Antoine Predock! Creative Loft Space for shoots - downtown location! Awesome exposed brick and coved ceiling, open for shoots of all sizes! This lovely smaller home offers one of the most beautiful and shoot-conscious kitchens in the Valley. Great from every angle, center island with cook top is almost 3' high and hood 3' above it. Great back yard and garage for production, easy parking, film-friendly neighborhood. 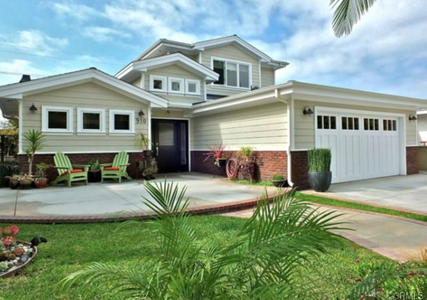 This gorgeous new home is on an old Studio City tree-lined street. Amazing kitchen, easy shoot-through, two great family rooms. Gorgeous bathrooms, film friendly neighbors! 74. 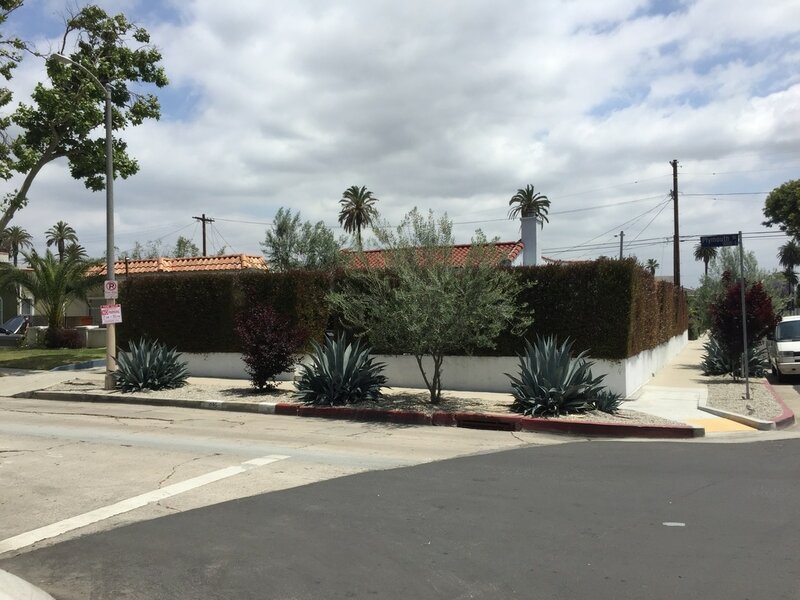 Carrie's beautiful MODERN Remodel - huge, deep lot! Suitable for all-sized productions. Located on a wonderfully film-able street, Carrie's one story 70's has all the ability to shoot through from the original kitchen to the family rooms, and chalk wall office home office. The large back yard has trees, grassy area, and a maze for the children. Beautiful, lush .7 acres Altadena location near Eaton Canyon - untouched Mid-Century - original stove and grill in kitchen - ample gardens - plus rustic cabins on the property - off street parking on grounds, plus street parking. 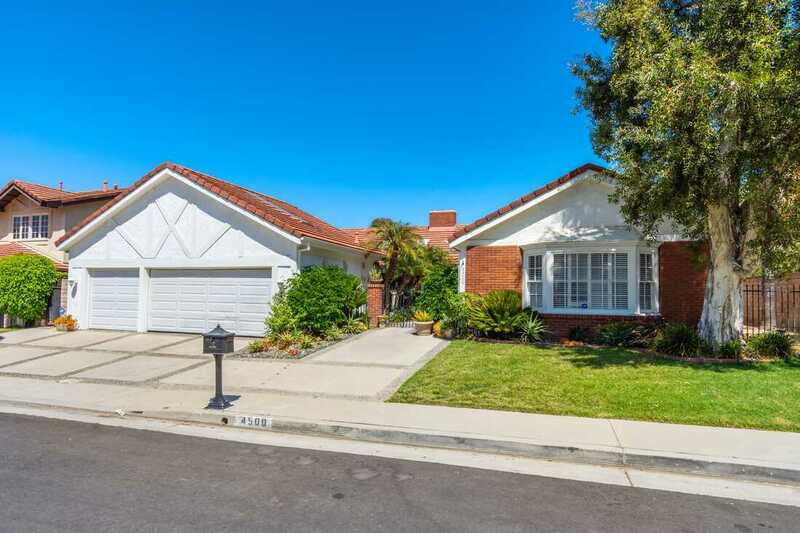 This pristine 70's valley home is on a very shoot-able cul-de-sac in Sherman Oaks. Wood panelling, original kitchen, prime example of the architecture of the time. Pool and yard. 79. 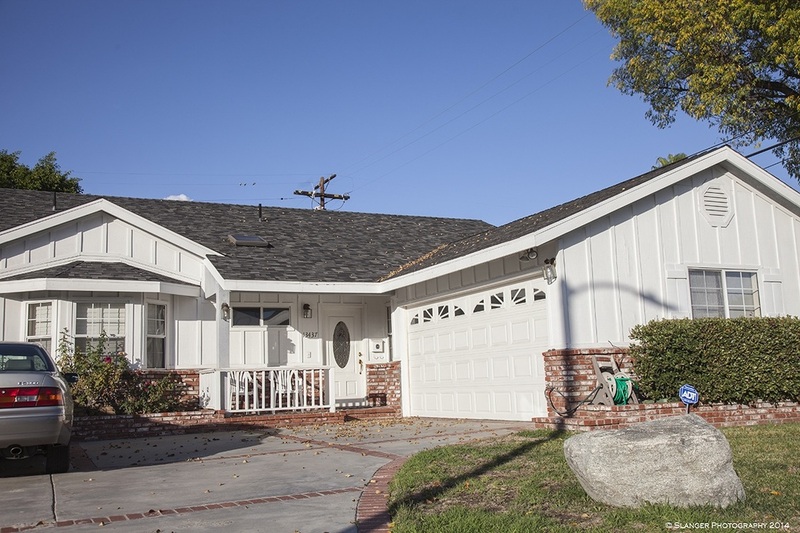 Kathleen and Dan's large all-American PERFECT LOCATION - TOLUCA LAKE! This beautiful, spacious home features ample shooting opportunities, from it's grand kitchen, side yard large enough for a soccer game, trees, surround porch, and elegant pool - back yard. Wood floors, elegant decor, the perfect location for commercials for that all-American look. Several support areas for production. Easy parking, wide street, Film LA/Toluca Lake permits. Gracious family to shoot with. Fantastic Valley Lights View - great light, pool, jacuzzi, huge living room - plus family room off cooks kitchen! 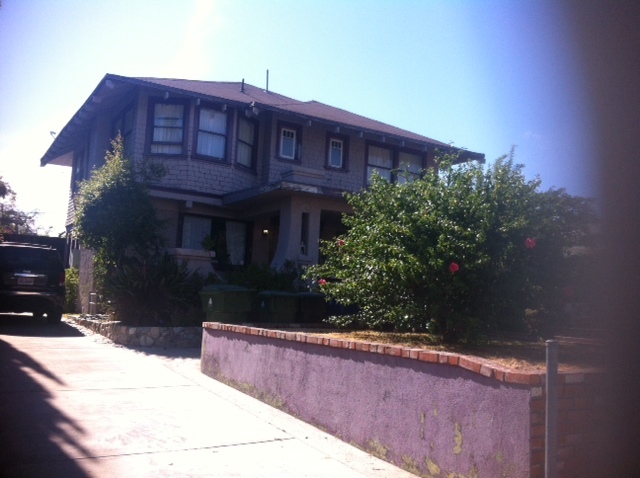 Right in the middle of Hollywood sits this large two story with back story! Easy to shoot in, rooms flow together, beautiful stairwell, amazing tile in master bedroom. Great living room and separate den with brick fireplace, easy parking, super owner, 70's kitchen. 84. BRICK ALTADENA - RETRO ALL AMERICAN, PERFECT FOR FAMILY DRAMAS! This home of an engineer gets slowly worked on, piece by piece, room by room. Great light, great vibe. Toy rooms, game rooms, enormous front yard. Mausoleum on one side, so mighty quiet property! Just a year old, this new build offers all the amenities of the NEW ALL-AMERICAN HOME! Two stories, excellent room sizes, well-shot-in neighborhood. Charming bungalow remodeled to have open kitchen and living room, sweet back yard, easy parking. Wonderful owners to work with, beautiful light and dramatic furnishings, trucks park below, walk equipment up driveway. 88. RAYA'S MALIBU BEACH HOUSE LOCATION - ON THE WATER!!! Beach front property - modern decor - great light, furnishings, cool owner with great neighbors - Each of the 3 bedrooms is a suite with bathroom, and master has a Sauna - Malibu permits. Great facility with lots of set up options! Film friendly and many nearby crew parking options. Many looks, several stages, kitchen set-up, conference table, etc! Mid City loft with exposed brick walls! 3rd floor LOFT, with freight elevator. Nearby parking lot for rent. Excellent cooperation from building owners for all levels of shoots! 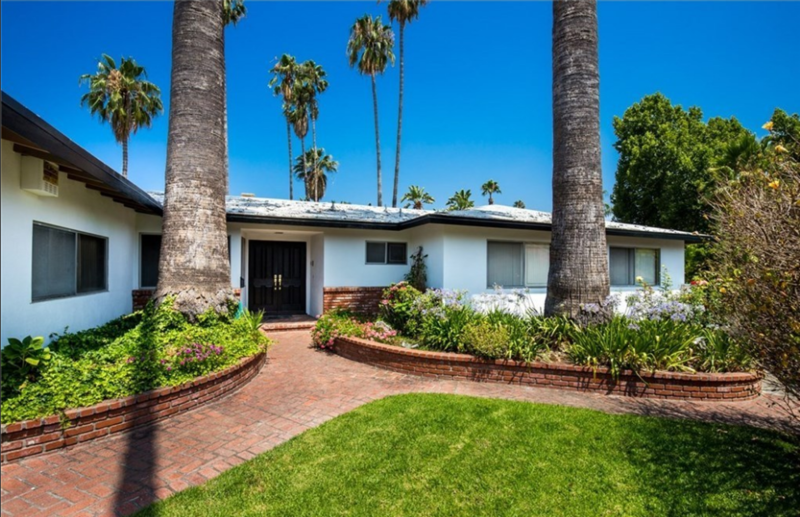 Situated on a quite film-friendly street, this remodeled mid-century is a filming dream with open concept. On a quiet cul-de-sac with public lands and water in the background, this contemporary design home location is the best! Great kitchen, large living room, library book wall, and deep L shaped pool replaster! Serene neighbors, great homeowner to work with! 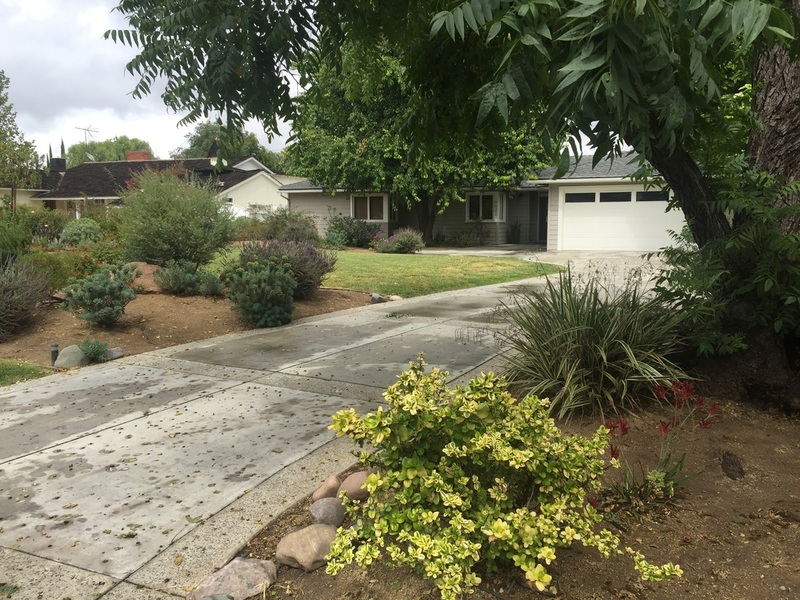 Perfect circa 70-80s Duplex location in Valencia!! Easy parking, friendly neighbors! All-American Traditional family home location, perfect location long driveway, wood paneling, pool! 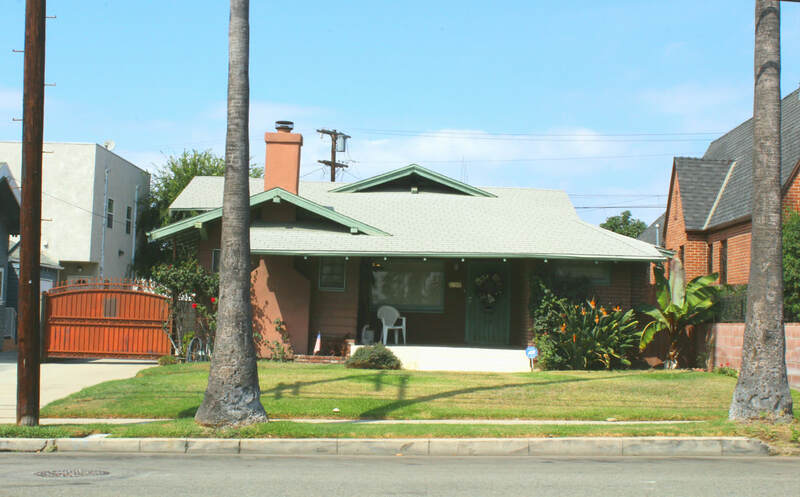 Authentic craftsman built in the 40s, not remodeled, great location for filming in Los Angeles! Super easy to shoot, open floor plan - cooks kitchen with electric cooktop - located on film-friendly street across from a park - pristine garage for production use! 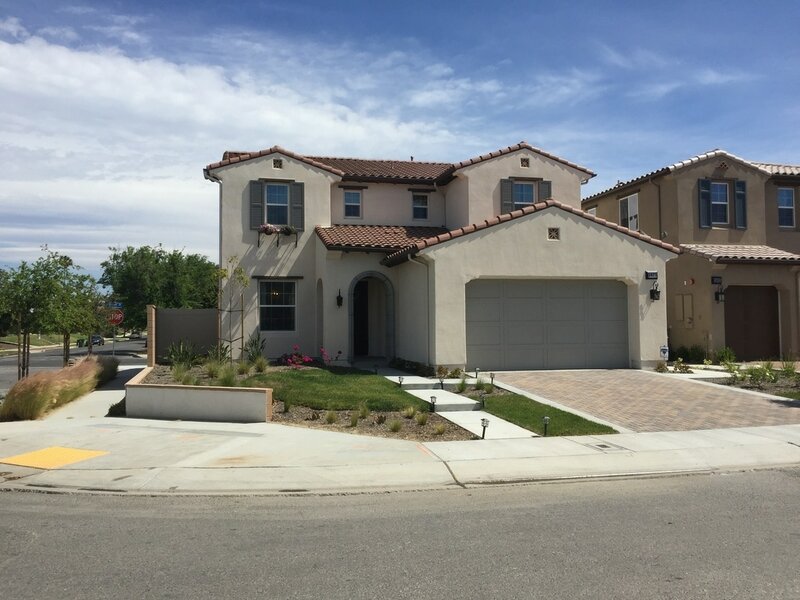 This awesome new build in a brand new neighborhood has all the amenities, and this home is done in light cream puff colors! Great homeowner and HOA to work with, larger prods can park outside HOA with FSO on duty for Any-Where USA street shots! Excellent neighbors with baby landscaping trees just planted gives that "tract-home-new-build" authenticity! Perfect East Coast charm! Rare remodeled farmhouse location with updated amenities for that sought-after all-American look. Great production ease with overnight street parking. Terrific 6 bedroom home, with garage and play rooms! 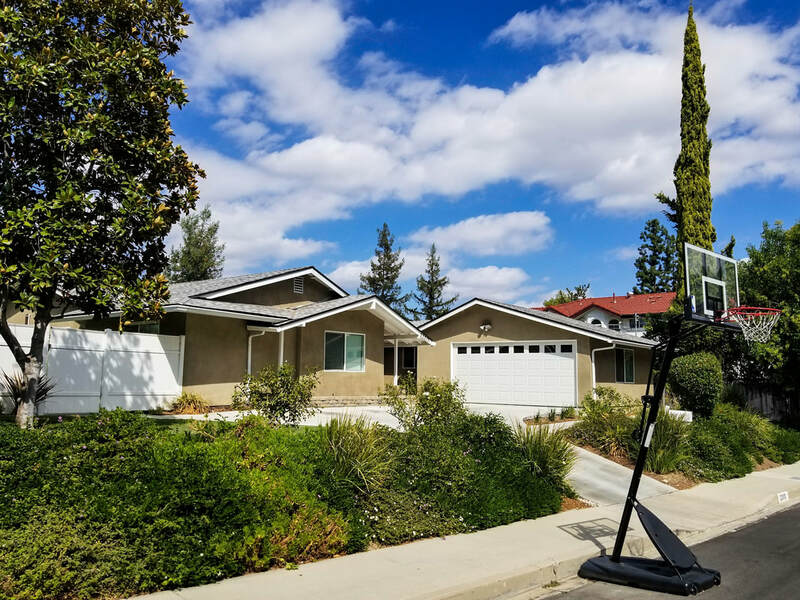 Burbank permits can be expensive, but with tandem off-street parking for 6 cars, and the garage for production, indie's can shoot on budget in this family-style home location! North Hollywood location perfect for filming. Film friendly with easy parking, swimming pool. This brand new remodel is ready for shoots! Production fits nicely in the refinished garage, or use it as an attic look. Cement pad for crafty and tents to the right of the driveway. Large back yard, great pool with removable child fence. Classic California style 2-bedroom bungalow location, with shining wood floors and original beam ceilings. Long driveway with original garage, easy truck street parking/load-in. Nice back yard for staging. All-American family-style home location, perfect for filming. Eat-in updated kitchen, peaceful backyard, Pool with Jacuzzi, garage, tree-lined street. 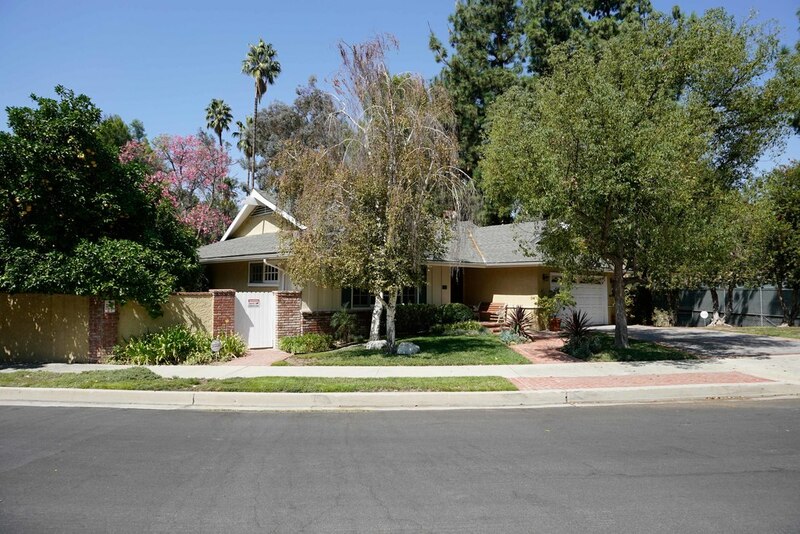 James' Charming Northridge Remodel - great street, film friendly neighborhood, new owners interested in filming! Quiet street, large property with warm hues and expansive living. Charm is the operative word for this two story. 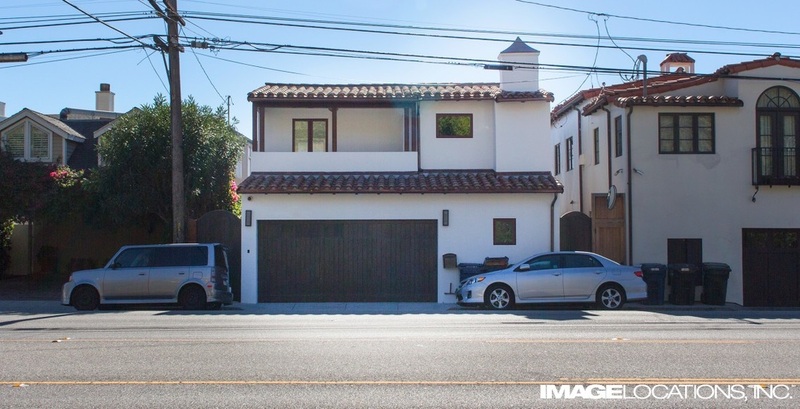 Film friendly and experienced homeowner, just off Elysian Park! 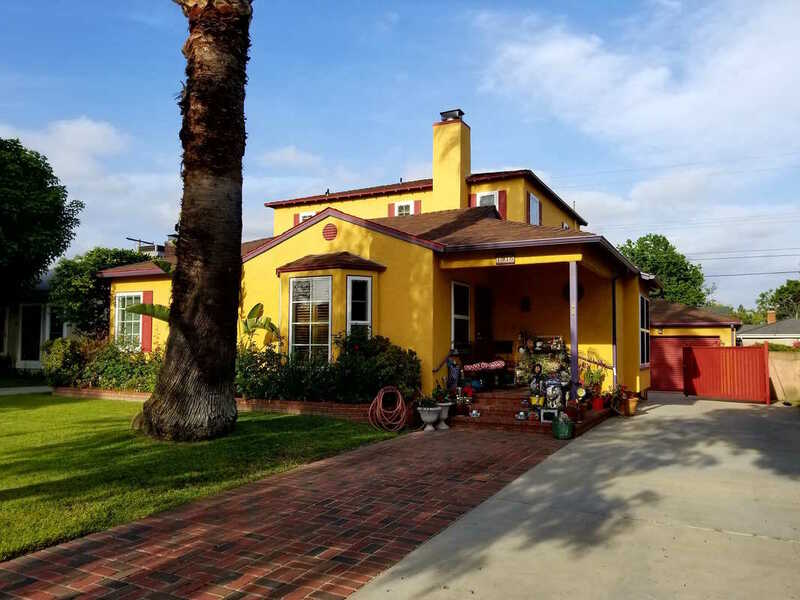 Located in North Hills this home has RARE DRIVEWAY and is an art department's budgetary dream - authentic and feels ready to shoot! This classic two story is the perfect answer to your filming needs. Not remodeled, could be the scary horror heroine's homestead, or the realistic play house for your romance drama.